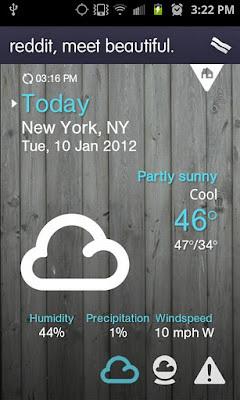 1Weather (Android) - Awesome style and functionality ~ Android Forever! Weather apps can be all alike, and therefore of little interest. I especially hate intrusive ads on the free apps. They take away from the sweetness of the UI and are generally annoying. Here's a nice change. 1Weather is stylish in the way it presents your important weather data and can pull that data on just about any city on earth. Check it out! 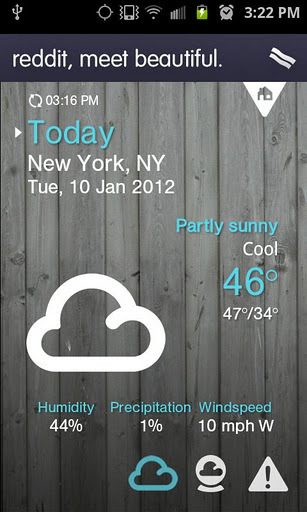 1Weather is FREE on the Android Market!